PLAYER OF THE GAME: Bucks guard Charlie Bell was 8 of 17 from the field, including 2 of 4 from three-point range while scoring 18 points and adding three assists and three rebounds. He played 44 minutes. "Once you start hitting a couple early, you get a nice rhythm," Bell said. "I missed a couple late. I only played 15 or 16 minutes yesterday (at Dallas). I figured I was one guy who could lead this team to a victory with some energy." Call it ugly or call it sloppy. The Milwaukee Bucks were just glad to call it a victory. 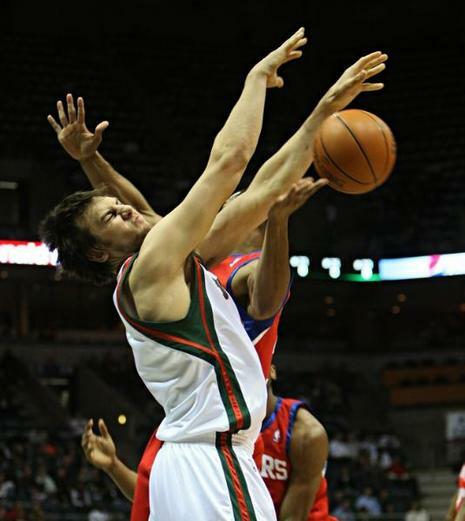 Despite showing some serious fatigue while playing the second game in a back-to-back set, the Bucks held on to beat the Philadelphia 76ers, 91-88, on Wednesday night at the Bradley Center. 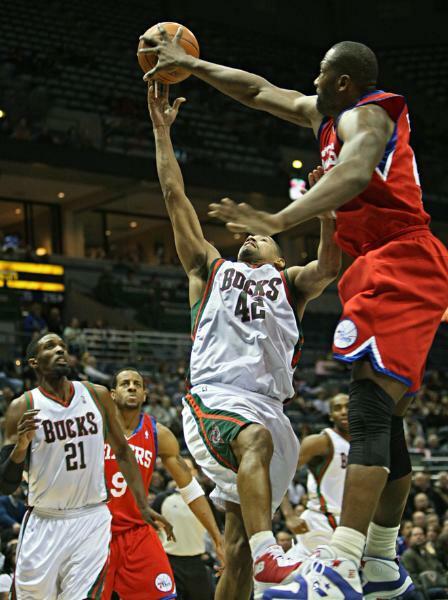 Brandon Jennings' 12-foot floater from the left side gave the Bucks a two-point lead with 22.3 seconds left, and 76ers forward Elton Brand missed two short attempts to tie the score. Try to build a team that can win now because the paying customers demand it, or think into the future, build flexibility into the payroll and position the Bucks as a team that can be a playoff contender each season. Hammond says he's trying to reach both goals at the same time.